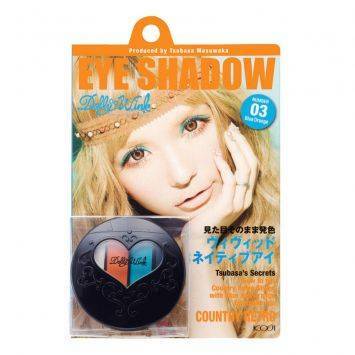 Today i’m going to do the long awaited review on Tsubasa Masukawa’s Country Retro palette. 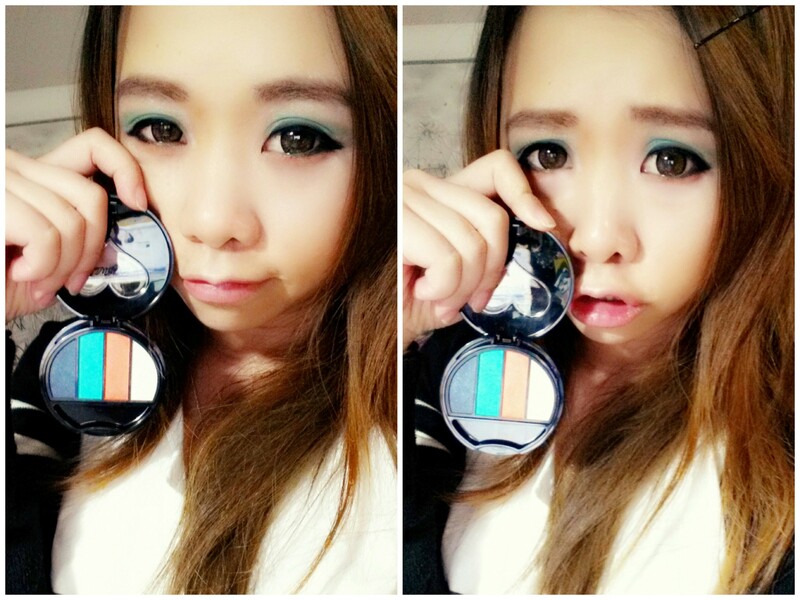 I got this palette from My FashionEye <3!!! 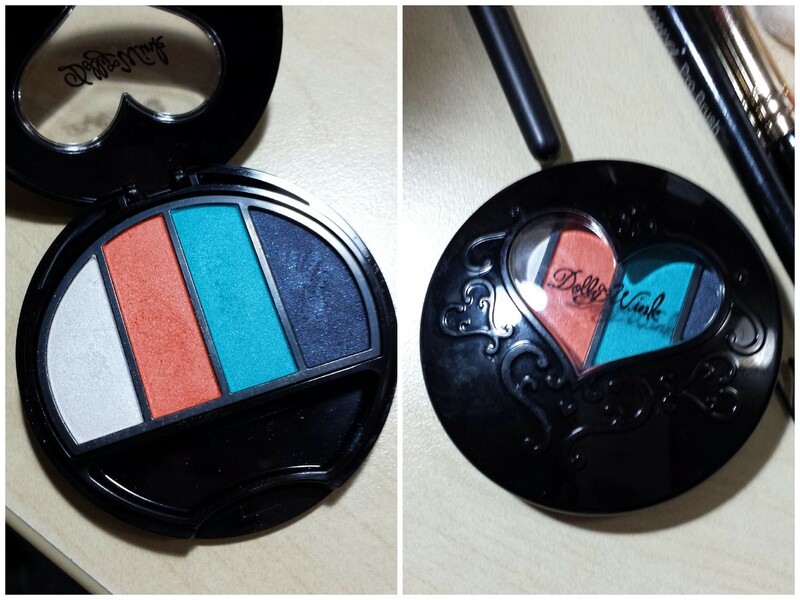 This one isn’t as popular as the other Dolly Wink palettes out on the market- probably because of the colour and because it seems a little hard to wear? But I think its cute, fun and funky! WELL NOPE. I’m going to show you 3 other alternative ways to wear these colours! (There’s a lot more but you can use these examples as guidelines for your creativity ^^!) First thing you need to note is that the colours on this palette involves orange and blue as the theme which means that you’re going for an awesome colour crash. Reason 1: they’re on opposite sides of the colour wheel. Reason 2: the colours are both warm and cool. This means anyone can wear it you’ll just have to adjust the colour matching and placement to what suits you. 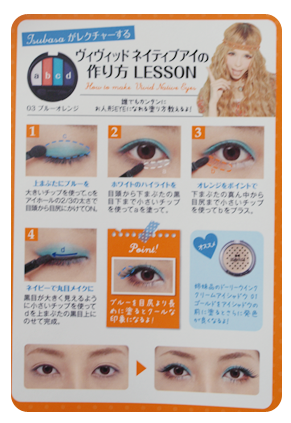 Tsubasa shows off her combo of the colours on the package and this look atypically matches someone with a more neutral skin tone- but I don’t think that would stop anyone wearing any colour >: P So the below two images are the packaging and steps to get Tsubasa’s look. 1. Apply primer all over the lid and up to the brow-bone. 3. From the brow-bone, bring down the highlighting colour to the orange and blend nicely. Also pop this in the inner corners of the eyes. 4. Line the top lashline with the dark blue and bring it up a little higher than where you would put your eyeliner. Line the outer 1/3 of your bottom lashline with the light blue. 2. 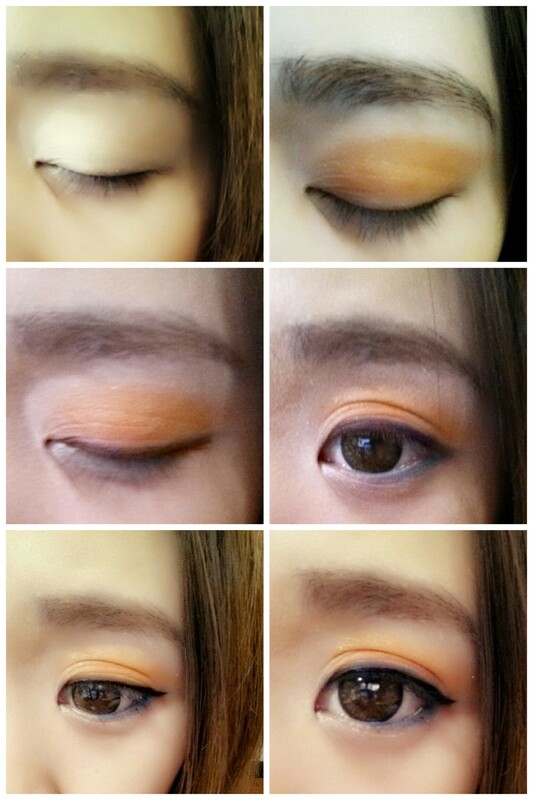 Apply an all over wash of orange over the lid working from the outside to the inside. 3. Follow the imaginary diagonal line from your eyebrow to the side of your nose. Apply the dark blue from the outer 1/3 of the lashline and work it into your eye socket (working from the outside towards the inside) creating a soft off shaped “c”. 4. Pop a little bit of the light blue between the orange and dark blue to help the colours blend. Re-apply some orange to the centre for a pop of colour. 5. Bring some of the dark blue down the outer 1/2 of the bottom lashline. Then apply the highlighting colour to the brow bone. 6. Cat line, curl and mascara. 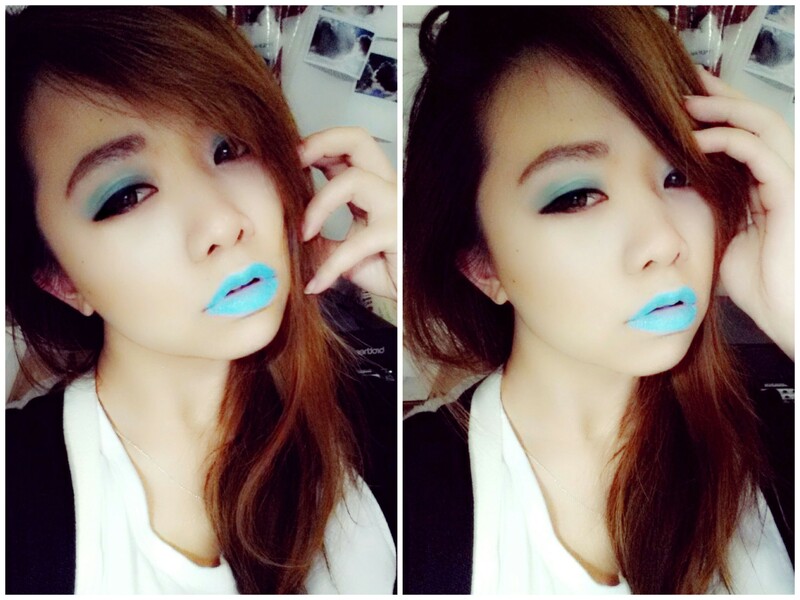 Look 3: Retro Blue Smokey. Especially suited for: Hooded eyes, Protruding eyes, close set eyes. 1. 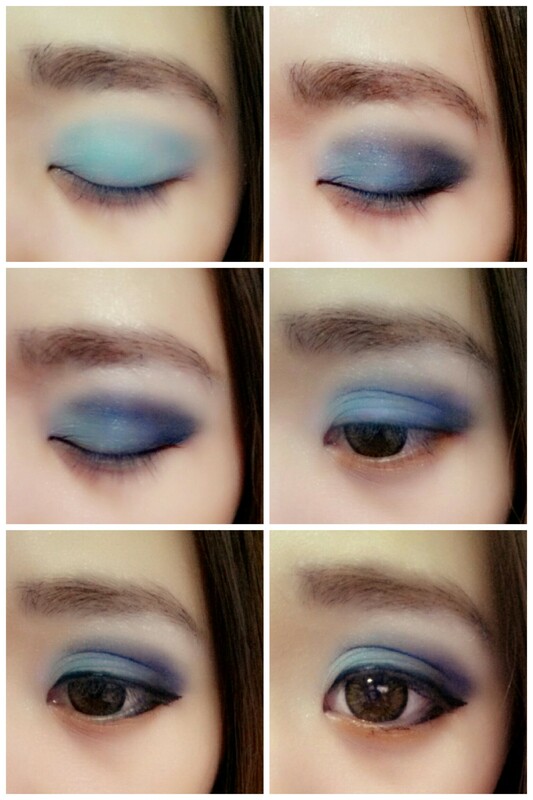 Prime and apply a wash of the light blue up past the crease area. 2. Apply the dark blue to the outer V and enhance the depth of the eye socket by bringing some of the darkness towards the centre. 3. Highlight the brow bone. 4. 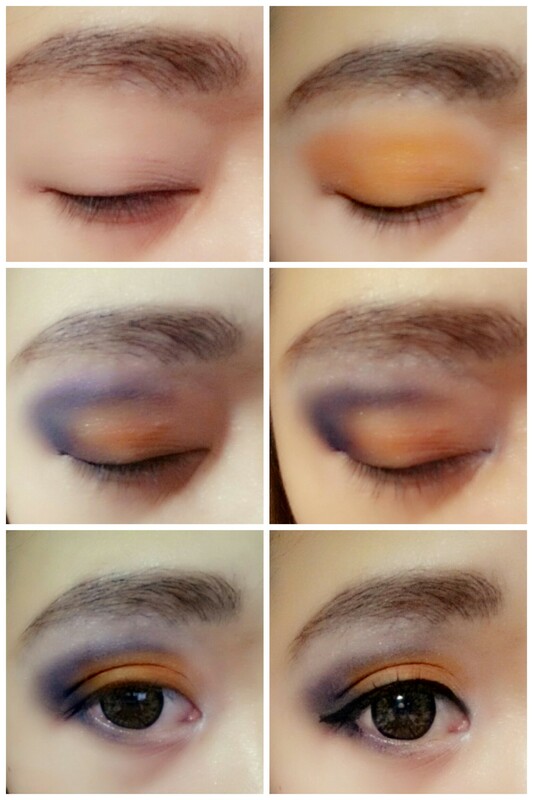 Apply the orange all the way across the bottom lashline. Lipstick: I’d suggest keeping it along the lines of coral, oranges and nudes. Unless ur really out there, go for a blue LOL!!! So… Here’s what I ended up doing for a bit of fun…. Take care and keep creative!!! 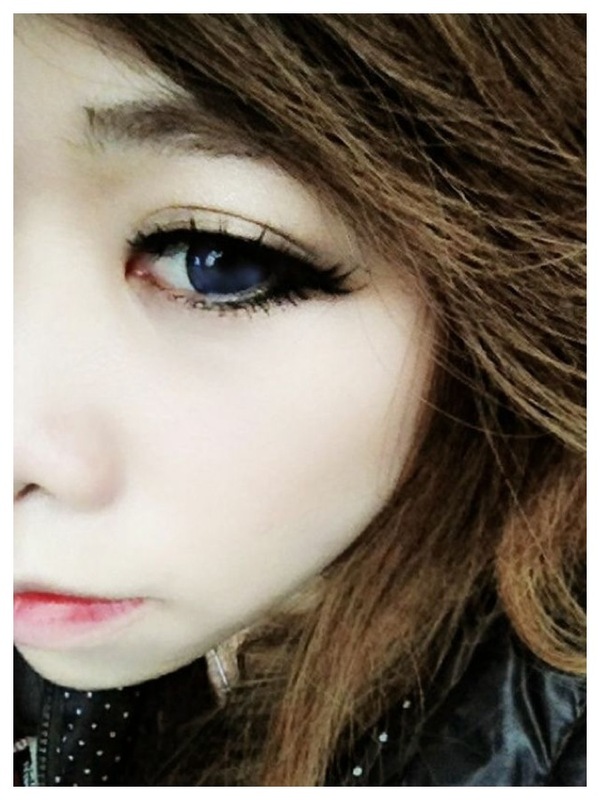 This brand of lashes were designed by a lot of popular beauty bloggers such as Nancy Chen and Yui and produced by E-Hsin Liu. As most of us would be pouring out our wallets on a box of Dolly Wink lashes that only come with two pairs, this is a high quality box of 5 lashes for the price of roughly $18.00 aud!!! 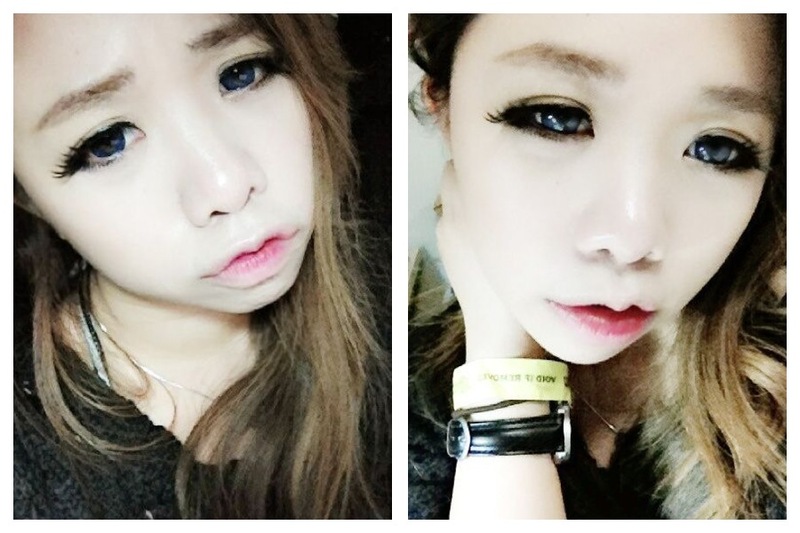 At first I was a bit afraid of using some of the lashes because they looked heaps huge. I’ve had bad past experiences where I purchased some big lashes from Priceline (Aus popular drugstore) and well- I looked like a clown. Ever since then I never reached for big lashes and have been afraid of them. But with these I decided to give it another go! And to my surprise it went really good!!! The pair that i’m going to show in today’s review is Angel Eye from the limited type 01 collection. Usually I reach for something that looks more spread out and natural so I thought this would look kinda weird on me. But it didn’t. In fact it gave me a really nice boost to making my eyes look extremely big and dolly without looking scary! 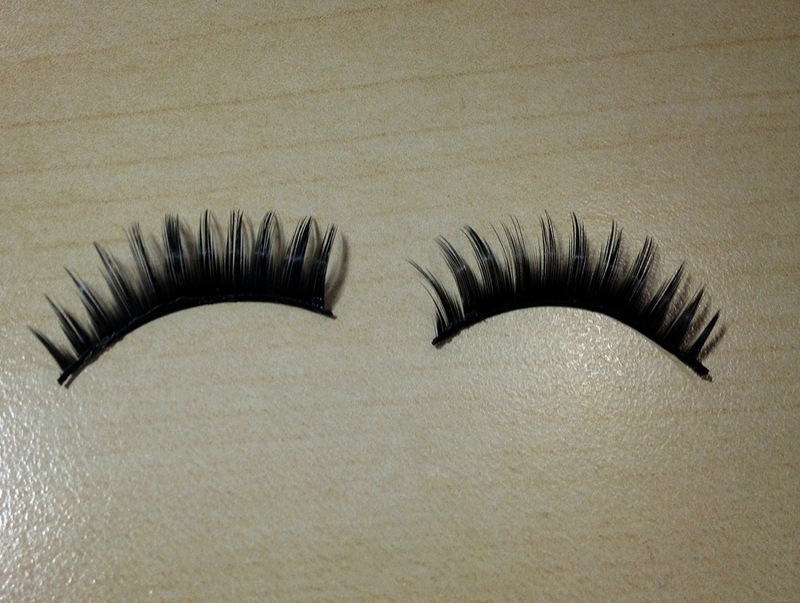 These are the lashes by themselves. Sooooo as you can see they’re kinda huge!!! Would’nt of expected that my eyes were able to carry it! The thing about these lashes is that they’re quite durable so you’ll be able to get more wears off these lashes than the Dolly Wink ones. The lashbands are thicker so when you’re cleaning them, they won’t break as easily or let the lashes slide around the band as easily either. :D!!! 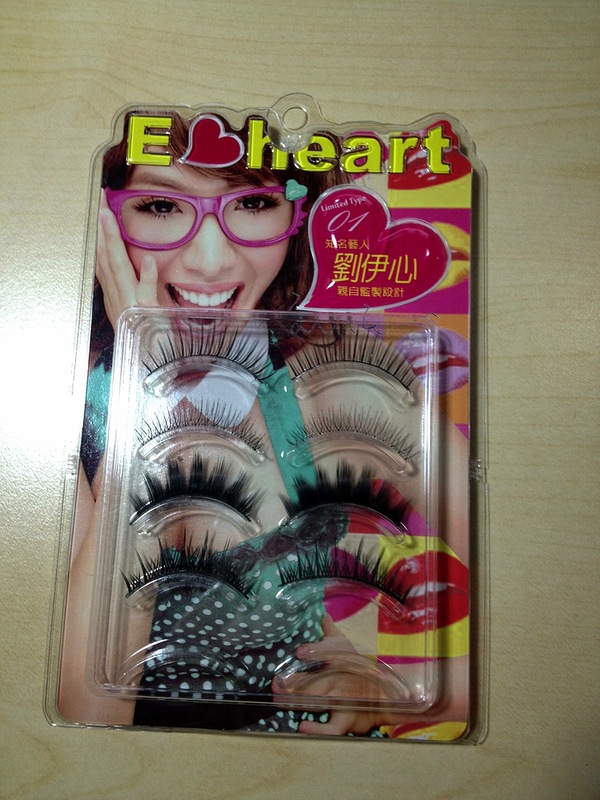 The only downside to them for me is that they’re not as soft as the Dolly wink lashes. They’re definitely more dramatic and seem a little bit less natural- but for durability and cost price wise I think it’s definitely worth it. Especially if you’re going for an event or to a cosplay shoot, these lashes will definitely last throughout the day of wear’n’tear and give you a massive lash boost. I hope you guys liked the review : ) These lashes are great for price and quality. ^~^v! A good buy if you don’t wanna spend a fortune on lashes but still wanting to get that same dolly eye look! I got mine from FashionEye. Take care and keep smiling!!! Probably not the most exciting thing for the readers but very exciting for me! 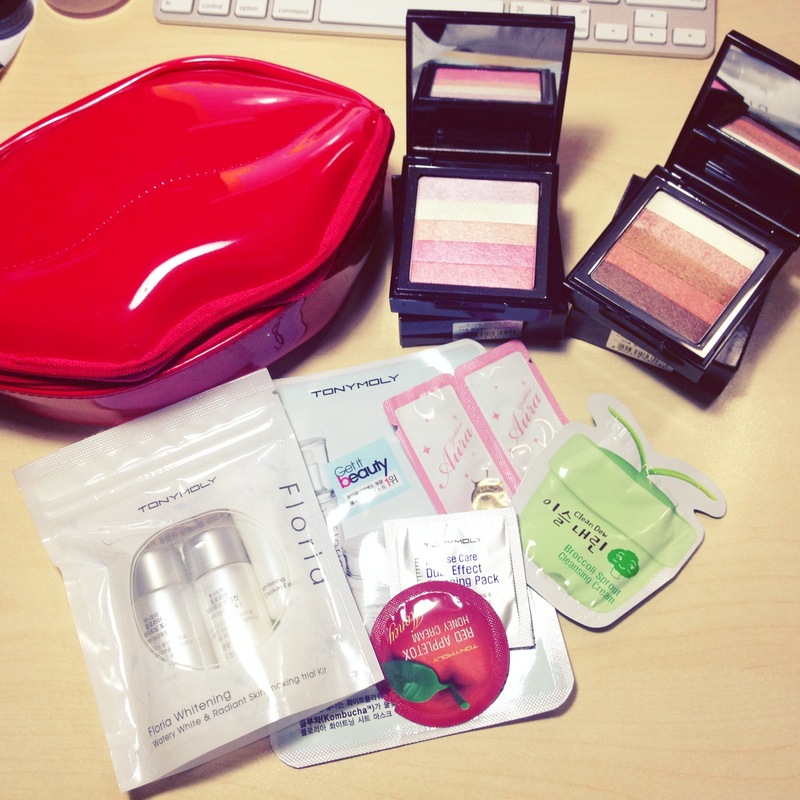 Today I got my package from Keauty (online shop) and went and picked up some Tony Moly stuff- just thought I might try it out. 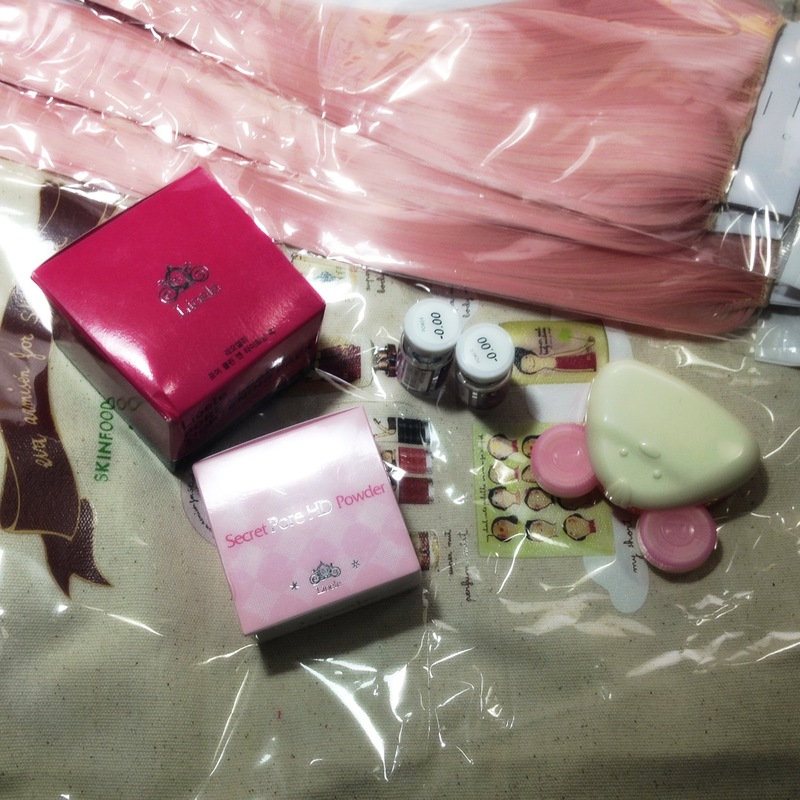 Coloured hair extensions, ruby queen contact lenses, Lioele pore clean and tightening pack, lioele secret pore HD powder, and they gave me some cute freebies! 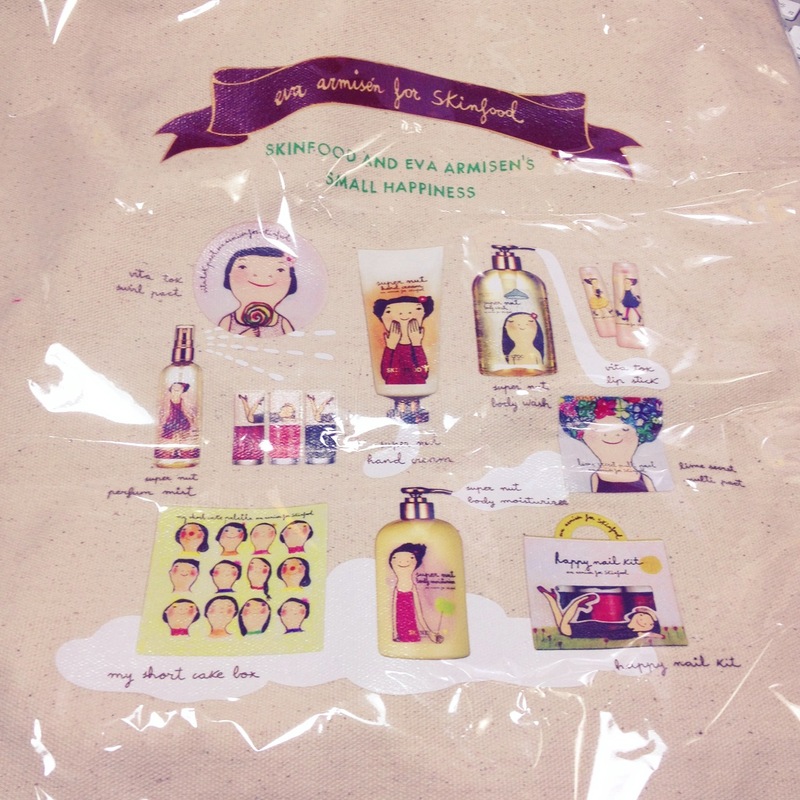 aka- the tote bag and lens case! Stay tuned for the reviews! I’m trying on the pore clean tightening pack as we speak and can feel my face tightening up already LOL!